Thomas Hunt Morgan was born on September 25, 1866 in Lexington, Kentucky. He was the eldest son of Charlton Hunt Morgan who served as the American Consul in Messina, Sicily in 1860, where he assisted Garibaldi during the uprising that started his campaign of that year. He later joined the Confederate Army was wounded at the Battle of Shiloh. Morgan as a boy was interested in natural history and spent several summers in the mountains near Oakland, Maryland where he collected fossils. When he grew older he spent his summers in the mountains of Kentucky doing geological and biological field work. He graduated with a BS from the University of Kentucky in 1886. Morgan received his Ph.D. from Johns Hopkins in 1890. After which he received the Bruce Fellowship which allowed him to study in Italy at the Marine Zoological Laboratory in Naples. In 1891 Morgan was appointed associate professor (and head of the biology department) at Bryn Mawr University, where he stayed until 1904. While at Bryn Mawr he met and married Lillian Vaughan Sampson, who would later contribute to his research. In 1904 Edmund Wilson, who Morgan had replaced at Bryn Mawr, invited him to Columbia University where he was appointed professor of experimental biology. 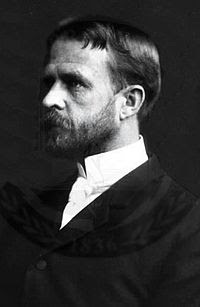 He remained at Columbia until 1928 when moved to the California Institute of Technology, in Pasadena, California, where he was appointed professor of biology and director of the Kerckhoff Laboratories. While at Caltech he established a marine laboratory at Corona Del Mar, California. He remained at Caltech until 1945. Morgan's research at Columbia, influenced by Wilson, looked at the role of cytology in influencing biological systems. He worked with fruit flies (Drosophila melanogaster) to study genetics. Although he was initially skeptical of the theories of Gregor Mendel, Morgan used fruit flies to show how certain traits are linked, that is the genes which are responsible for them are located on the same chromosome. From his experiments he was able to make maps of the Drosophila chromosomes, showing the locations of various genes. Drosophila have become a common model organism used for studying genetics. For his work showing the importance of chromosomes in heredity Morgan was awarded the 1933 Nobel Prize for Physiology and Medicine. Morgan was also interested in embryology and made important contributions to that field including demonstrating that gravity has no effect on a developing egg. Other honors won by Morgan include membership in the National Academy of Sciences and foreign membership in the Royal Society. In 1924 he was awarded the Royal Society's Darwin Medal and he has honorary degrees from Johns Hopkins and the University of Kentucky. Morgan died on December 4, 1945.